The literary market breeds books about stress at a prolific rate. Many of those books are duplicates of each other plugging the same techniques and mantras about how to calm down. 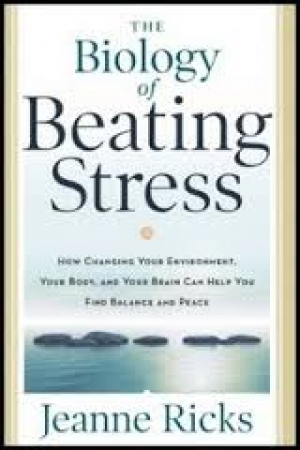 Jeanne Ricks, CHC, has written a book not only about stress but it's varied biological origins. Part science and part therapy, the reader is guided through a map of where stress is born in the body and the dangers of it's manifestations. It also teaches the reader how to control it. According to Ricks, the bad news is that 85% of disease is caused by emotions. She further adds that diabetes, bad digestion and even belly fat are linked to stress. The good news is that it can be controlled through deep breathing, eliminating sugar, red meat and wheat, and steering away from toxic environments. She advocates exercise and warns against "comingling recyclable memories from the past with the present." What makes the book unique is that it goes beyond the standard self help formula. She details a guide to meditation as well as how to breeze through an audition or a job interview. Her suggestions of how to apply stress beating techniques to every day life are invaluable and well researched. Rick's message, "tell yourself to slow down" is a simple but profound tool in the battle against the demands of living. But hurry up and get the book at www.amazon.com so that you can slow down.